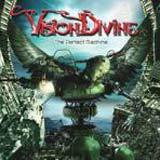 Vision Divine is an Italian band formed by Olaf Thorsen, a former member of Labyrinth. Not happy with the direction that Labyrinth was taking with their sound, Olaf formed Vision Divine to carry on the old Labyrinth sound. The Perfect Machine is the band’s fourth studio album, and it is a concept album as was their previous release. The story of this album is about a biologist who is master of DNA and molecular regeneration. As a result, he finds a way to cure disease and maintain eternal youth, thereby meaning humankind reaches immortality. As for the music on this CD, it just gets better with each spin. When listening to this album, I hear that Vision Divine have incorporated qualities from genres such as prog metal, power metal, and hard rock into their sound. Vocalist Michele Luppi has a powerful and rich voice, and has a tremendous melodic quality to his voice as well. As a result, Vision Divine have taken a very melodic approach to their songwriting. Like you may hear in a memorable melodic hard rock album, The Perfect Machine is loaded with catchy hooks, and melodies emphasized by big harmony vocals. Some layered vocals are also used to give the music a bigger sound. I feel that this approach really utilizes Luppi’s voice to the fullest. Still, there is plenty of power to the band’s sound, as they stay in power metal territory for the majority of the album. Songs like Rising Sun and Here in 6048 are more restrained as far as tempo goes, and are also the more progressive sounding tracks of the album. However, the remaining songs are grounded in melodic power / progressive metal. The entire album has a nice progressive touch, thanks to Oleg Smirnoff’s keyboard work. I found the keys to add some atmosphere and mood to the songs without being overbearing at all. The guitars and the fabulous vocals of Michele Luppi are definitely at the forefront of the sound. Also regarding the keys, the band doesn’t sacrifice any power or intensity in order to incorporate them into their sound. This is something that I feel Time Machine and Vanden Plas have also managed to do quite well. As I mentioned earlier, the songs on this album get better and better with each listen. You will need to spin this disc many times before fully appreciating everything it has to offer. The striking melodies and catchy hooks find their way into your memory quite fast, but the intricate songwriting and lyrics slowly emanate their way into your mind. By intricate songwriting, I don’t mean that the band throws time and tempo changes at you every 10 second to prove how talented they are (otherwise known as “prog wankery”), but instead, tempo and subtle mood changes are used throughout each of the songs when appropriate. The guitar solos and keyboard textures do a nice job in reflecting the particular mood at a given time; whether it is powerful, or mellow and introspective. Having said all this, I found each of the 9 tracks to be as good as the next. There are no fillers, and each track plays an important role in the story. The lyrics are sure to appease fans critical of power metal’s typical nonsensical (but fun) lyrics. As mankind is donned in immortality, emotions such as love, hate, and fear are no more. It is an interesting listen that combines with the quality arrangements to make the album a very solid listen start to finish. The Perfect Machine will certainly be a late addition to my top 15 album list for the year. With the production of Stratovarius’ Timo Tolkki, the has a crystal clear, slick sound. That’s just one more thing to like about this album. Solid musicianship, catchy and powerful songs, and interesting arrangements are Vision Divine’s recipe for success. Fans of early Labyrinth especially should jump all over this album.